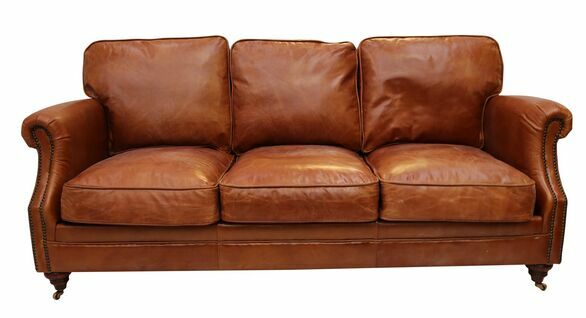 Top quality distressed brown antique style real leather sofa. Manufactured with a top quality hardwood frame, eight-way hand tied springs and a clever combination of foam, fibre and filling give that desirable lived-in look. 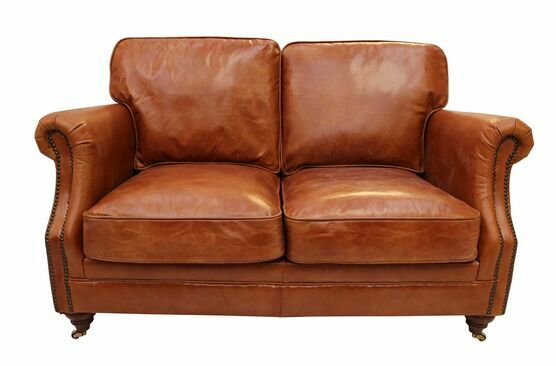 Vintage lounge furniture fits well with contemporary or vintage decor, Available in a wide range of vintage distressed colours(Brown, Black, Tobacco, Rouge, Tan).